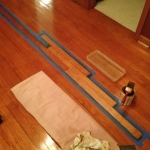 One day shortly after moving into the house, my father in law was over and we got to discussing the fact that I was having a hard time matching the color on the floor with stain for a few spots that needed some touching up. 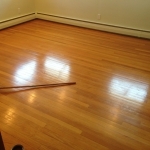 He pointed out that given the age of the floors, they may very well be finished with amber shellac instead. I did some quick research and picked up some from the store. I tried it out and it turns out he was exactly right. 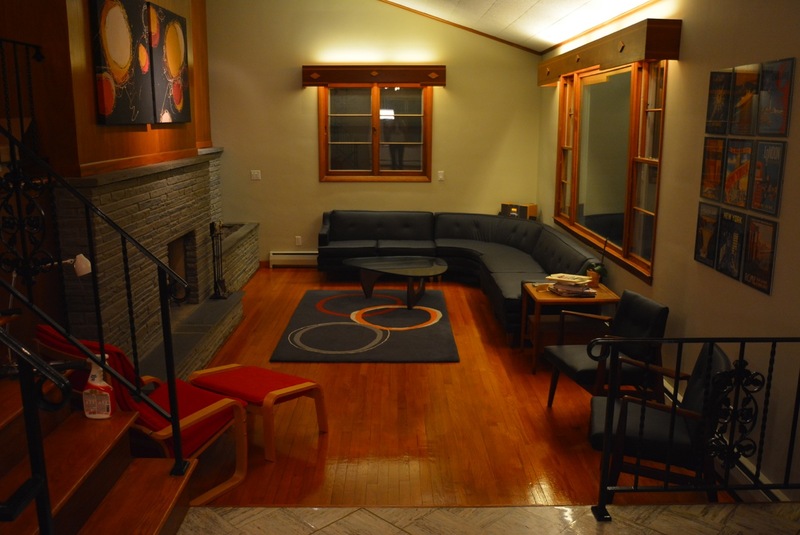 Up until the 1950s with the advent of polyurethane, shellac was one of the most popular wood finishes. 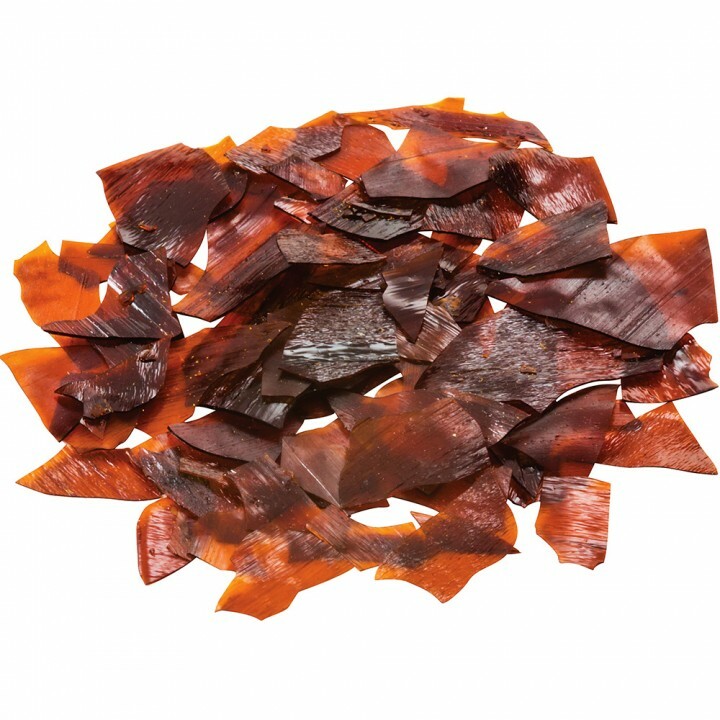 It is all natural, goes on quickly, and dries very hard and durable. Polyurethane is technically more durable, but is has a somewhat “plastic” look (because it is a plastic coating.) 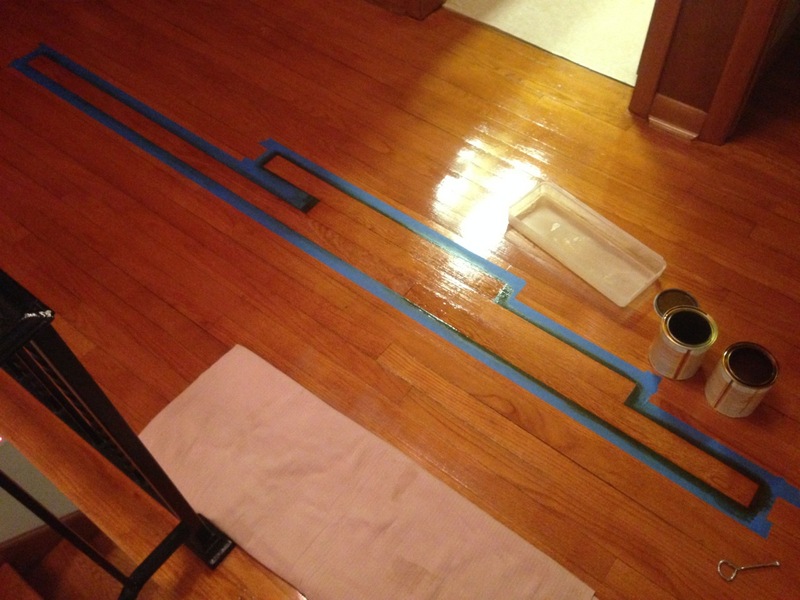 Also, if you have worked with polyurethane you know the fumes are terrible and you have to wait a very long time (up to 24 hours) between coats. 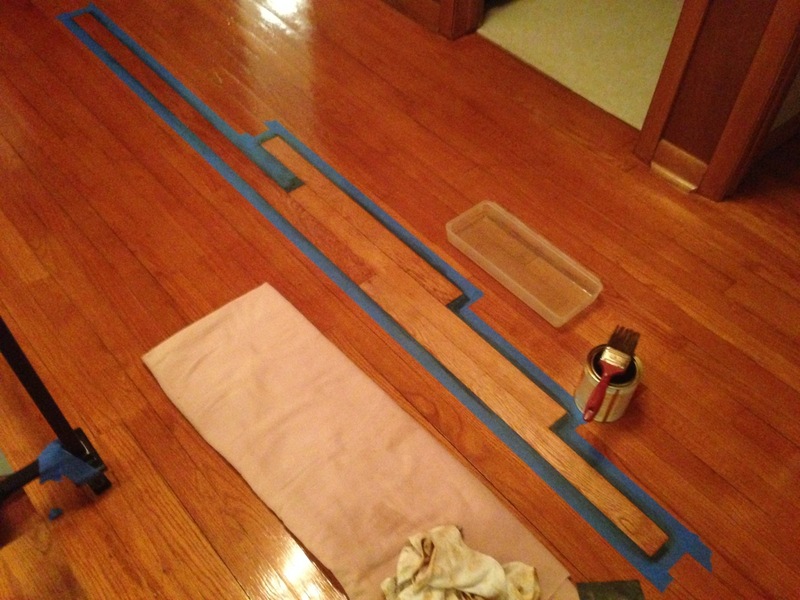 Of course, this meant that I had to shellac all the wood floors in the house. Because I’m using shellac, this isn’t quite as big of a project as you may think. 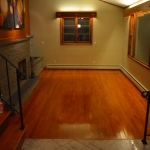 Unlike polyurethane, when you have a shellac coating, you can simply add another coating on top of the existing – you do not have to strip, re-stain and then put down a new top coat. 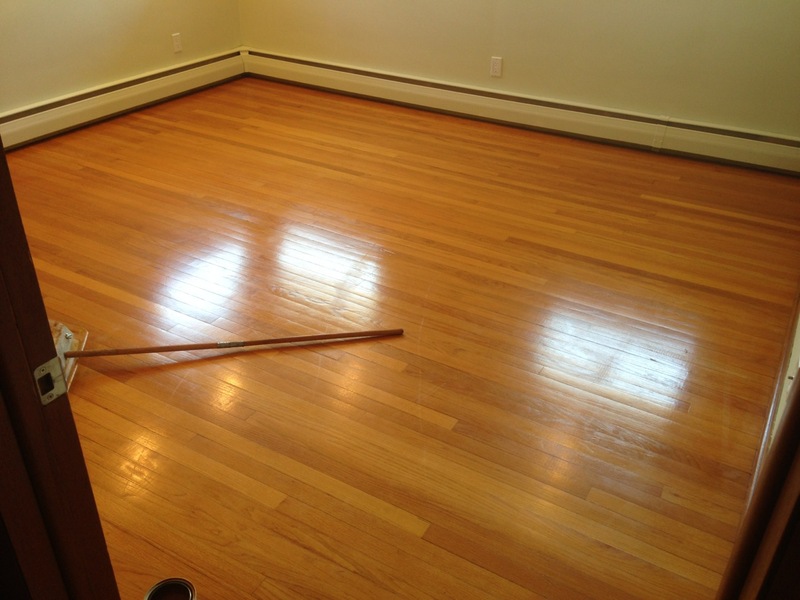 Shellac, including the stuff on your floor already, can be re-dissolved with denatured alcohol. So when you add a fresh coat, what is actually happening is it slightly melts the original coat, blends them together, and they harden as one single topcoat. 2. 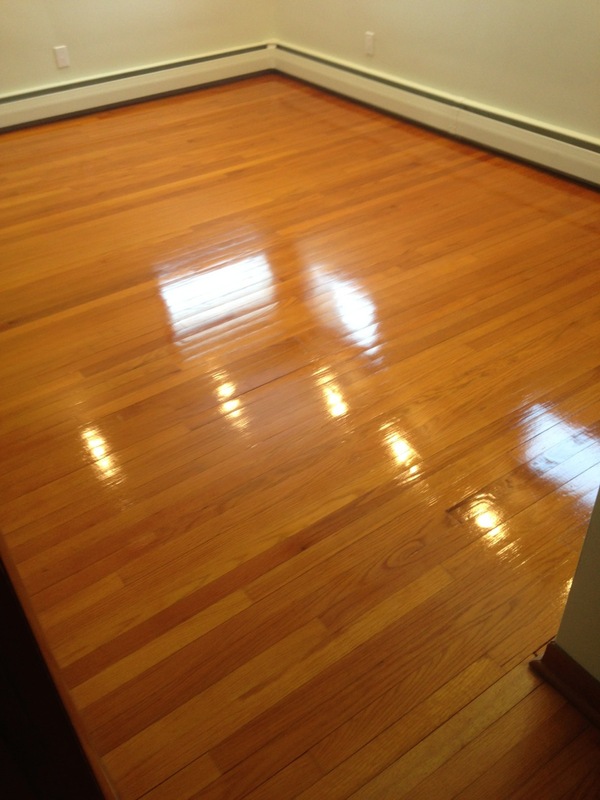 Shellac is able to be re-coated in as little as one hour. 3. 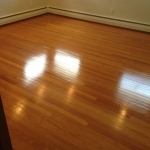 Shellac is all natural – denatured alcohol has a low odor and unlike polyurethane, you do not have to clear the room for a day while applying it. The alcohol (denatured alcohol is basically distilled spirits with a chemical to make it taste terrible) evaporates away, leaving nothing but the shellac resin when dried. 4. 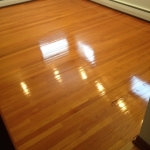 When you have a scratch, you can brush a little bit of denatured alcohol over the spot and it will melt the existing shellac and allow you to “patch” the scratch relatively easily. 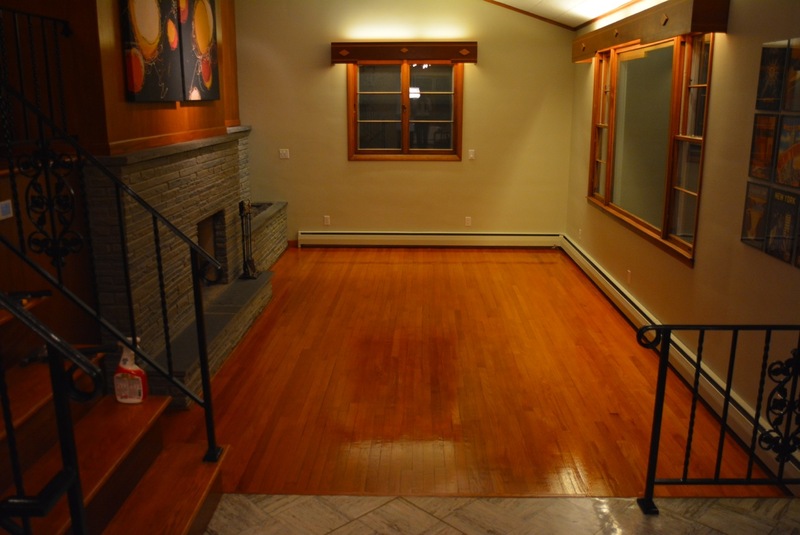 It took about two weeks to do all the floors in the house. I went through first and ensured that any nail holes leftover from the carpet tack strips were filled, then I just tackled one room at a time. 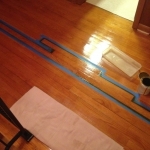 To do a project like a floor, a lambswool applicator is a must – they are cheap and allow you to do the entire floor in minutes. 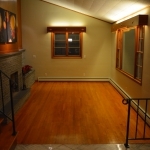 This entry was posted in bedroom, before and after, interior, mid century compatible and tagged floor refinishing, shellac, shellac floors on May 2, 2014 by Douglas Camin. Wow! Nice job. That is a ton of work and wouldn’t have dreamed of doing this myself. Looks beautiful. WOW! That is one SHINY floor. What and incredible job you did! 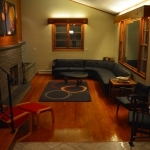 But be careful – when we had our floors redone, I had to put treads on my slippers LOL! Michelle – Shellac fortunately is naturally somewhat non-slip. You can put on the right pair of socks and skate around, but just barefoot it’s got pretty decent grip, surprisingly! 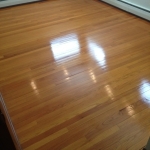 We have shellac-finished floors as well (from the 1940’s) and I am having trouble finding information on whether I can just add another coat of shellac over top of the existing finish or whether I would need to completed strip, sand, and refinish. Most tutorials just discuss redo’ing small areas. 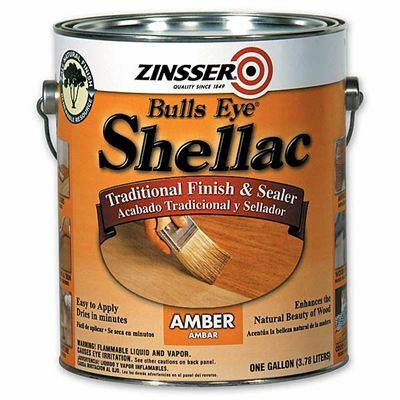 This sounds like you just used a lambswool applicator to apply the Zinsser Amber Shellac overtop of the existing finish – is that true?! Did you also have to buff with steel wool? How did you blend the edges over the course of 2 weeks? 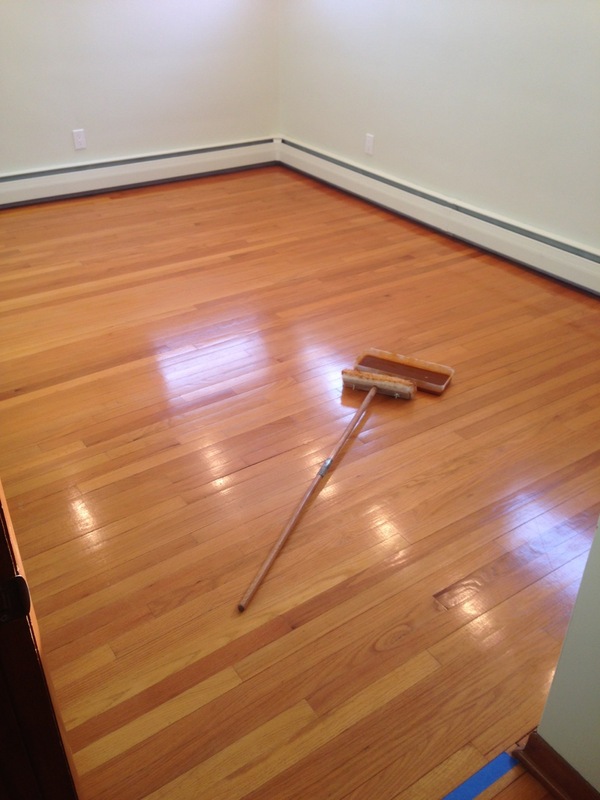 Deanna – With shellac, you can definitely just run a fresh coat over the existing one. 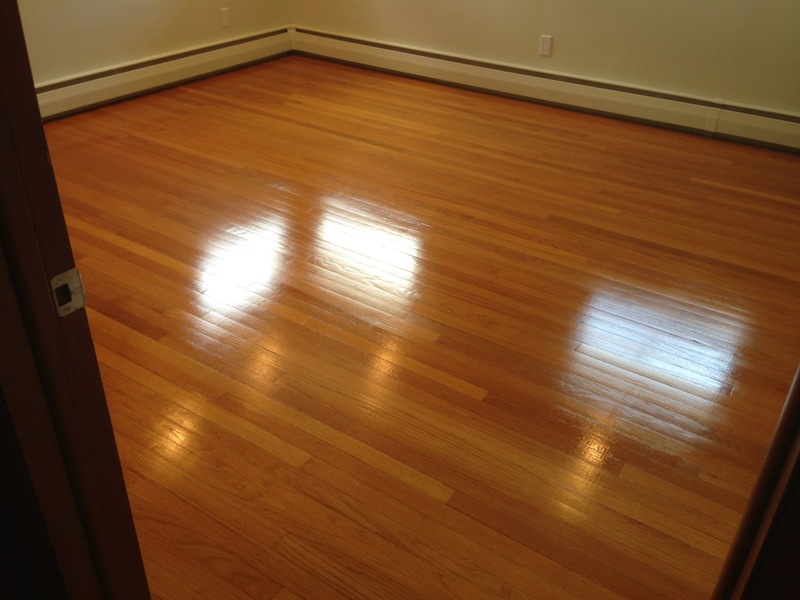 Our floor boards happened to be parallel to the doorway openings in each room (for the bedrooms), so I just carefully applied shellac to the edge of a board at the door and stopped. Since there wasn’t any actual overlap, we didn’t have lap marks between the different days of work. 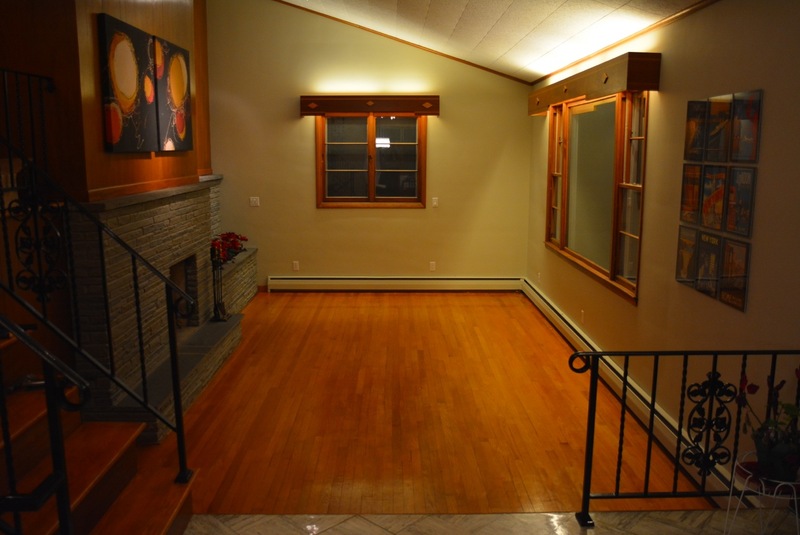 If your floor boards run perpendicular to the opening, you may have to get a little more creative. 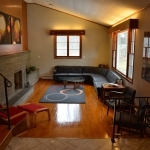 For the dining room and living room, each was an isolated floor (sunken living room, dining room opens to tile floors in kitchen and foyer) so I could do each as a stand-alone project. 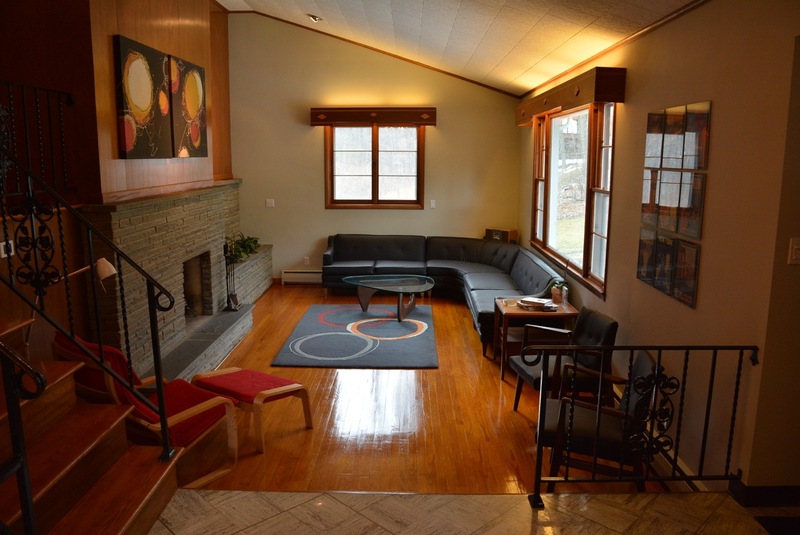 You can usually come up with a plan by looking at your floors and creating a pattern to follow. Your assessment is correct – I took a lambswool applicator, thinned the shellac down (to about a 1.5 pound cut – basically I took the gallon (3 lb cut) and split it in half, then re-filled with denatured alcohol. By thinning it out you can spread it much, much easier and with fewer lap marks. Since you can re-coat so quickly, it ends up working out better – you can do 3-4 coats in a matter of 3-4 hours to build up the finish. I didn’t buff or anything – the denatured alcohol in the fresh shellac will soften and melt the existing shellac and blend the two finishes together. One thing I will note – if you are going over existing shellac, you may want to consider if it is wise to get clear shellac instead of amber. 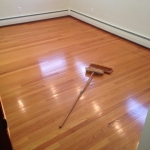 If you add fresh coats of amber shellac, it will continue to darken the floor with each successive coat. In my case I had some areas that it made a lot of sense to put a coating of new color on top for uniformity, but if I were to add a new coat right now, I would do it with clear shellac so as not to further darken the color. Last note – if you haven’t verified it, make sure you have shellac. Easy test is to take some denatured alcohol on a rag and go to a corner or somewhere inconspicous and see if it softens up the finish after sitting on it for a minute or two. 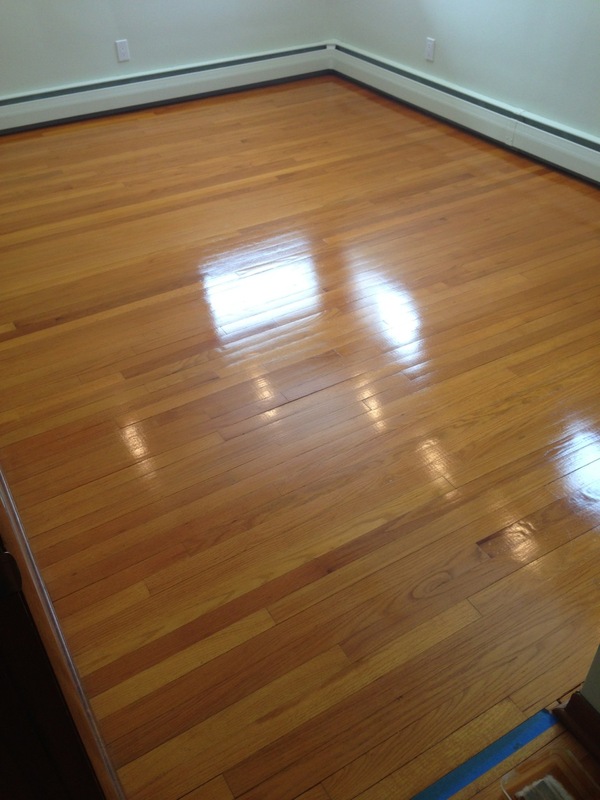 Sometimes people have shellac but it has been encased in polyurethane. Thank you so much for the quick reply, this helps A LOT! I may have another question or 2 once we get started 🙂 Hope ours turn out as well as yours did!